"I took some interesting photos during the Halloween party and saved them on my computer. I’m planning to make Halloween party photo slideshow for sendint to my brother who is now in China. And if possible, I also want to create a DVD photo slideshow with these Halloween party photos. What should I do?" For every holiday, a lot of photos have been taken to memorize the beautiful moments. Many people have taken Halloween party photos and collected other holiday photos saving on their computer for future review or sharing. Some people may plan to create Halloween party photo slideshow or even burn Halloween DVD with photos taken during Halloween parties. Windows PowerPoint is widely used for creating PPT with pictures and audios, however, it’s quite complicated. 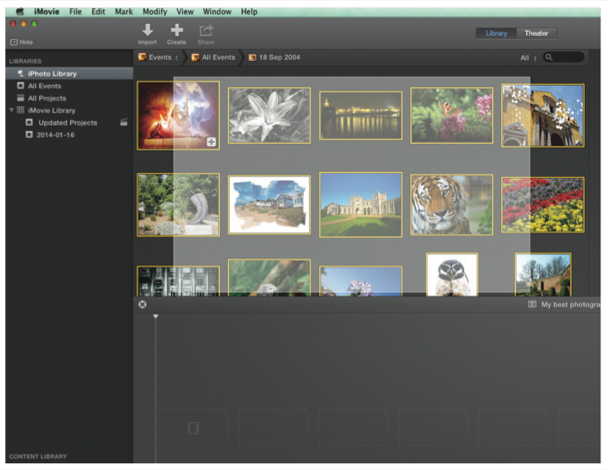 This tutorial offers 4 different useful solutions to create photo slideshow with Halloween photos. Windows Movie Maker might be the first choice to help Windows users create Halloween photo slideshow with Halloween party photos. 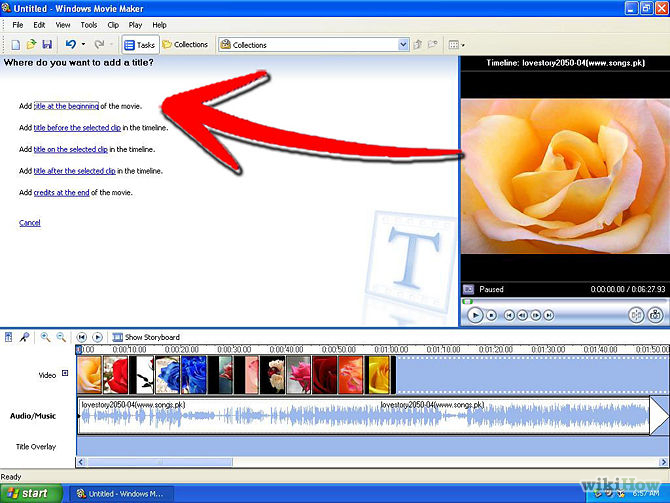 However, it should be noted that Windows Movie Maker is only available for Windows XP and older systems. 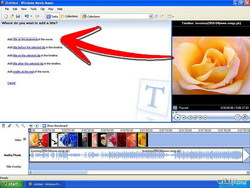 If you’re running Windows 7 or later, you need to download the newer program Windows Live Movie Maker 2011, part of the Windows Live Essentials pack. 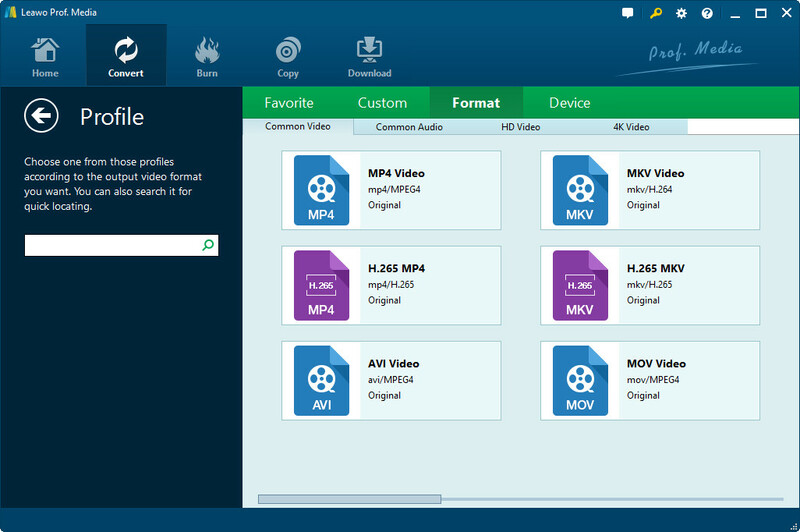 Install Windows Movie Maker and then follow the below steps to learn how to create Halloween party photo slideshow with Windows Movie Maker. 1. After launching Windows Movie Maker, select a theme for output Halloween party photo slideshow. 2. Add Halloween party photos into Windows Movie Maker and drag photos to the Video timeline to adjust photo order, add transition, etc. 3. Add an audio to the output Halloween photo slideshow and drag audios to the Audio/Music timeline to adjust audio. 4. Add titles and credits to the output Halloween photo slideshow and then output the slideshow. After loading audio as background music, you could click to play and preview. Titles and credits can be a good way to use up music time if you don’t have enough pictures to use the whole song. 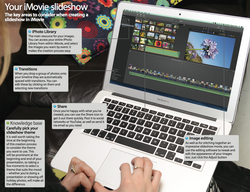 While Windows users would choose Windows Movie Maker as the first choice to create Halloween photo slideshows, Mac users’ first choice is without doubt iMovie. 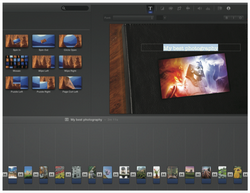 As a video editing software application developed by Apple Inc., iMovie can edit the photos and video clips and add titles, themes, music, and effects, including basic color correction and video enhancement tools and transitions such as fades and slides. 1. Open up iMovie and, from the toolbar, select to create a new movie. This will present you with the various theme options. Take your time to choose the one that suits your project best. 2. 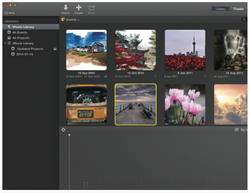 With your new project named and open, click the iPhoto Library option. This will open your various iPhoto albums and events in the top-left preview window, letting you to choose photos. 3. After loading photos, your photos will automatically be stitched together, complete with transitions. Double-click on any of these and you can edit the transition. Also, you could add text. 4. Go to the Import tab at the top and you can go through your Mac and import music. This can come from iTunes and beyond; just select the track and click Import before dragging it in. 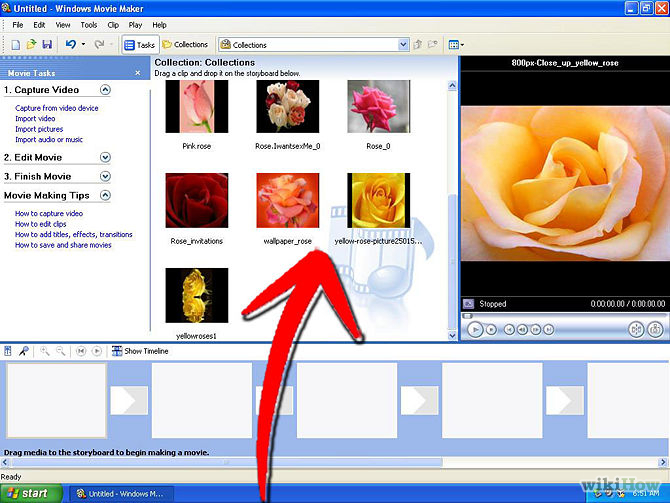 Windows Movie Maker and iMovie include lots of themes for you to create professional slideshow movies, as well as other elements like transition effects, text, etc. This helps create wonderful Halloween party photo slideshow, but makes it a little difficult to fully understand. If you’re a photo slideshow addict, you could try Leawo Photo Slideshow Maker (officially known as Leawo Total Media Converter Ultimate) to easily create Halloween photo slideshow with Halloween party photos. 1. 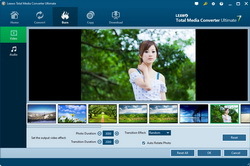 Launch Leawo Total Media Converter Ultimate, open the "Convert" tab, click the "Add Photo" button to add Halloween party photos. 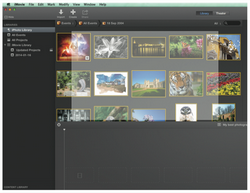 Photos would be automatically generated into slideshow upon adding. 2. 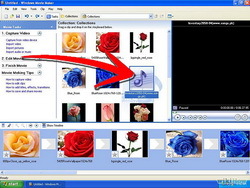 After generating photo slideshow, click the "Edit" icon in the photo slideshow title to edit photo slideshow video and audio: add/remove/adjust photo, add music, set video and audio effect, etc. 3. Click the drop-down box right before the big green "Convert" button and then select "Change" option to select output profile. You could even edit the output profile parameters. 4. Click the big green "Convert" button and then set output directory in the popup sidebar in the "Save to" box. After that, click the bottom "Convert" button to start outputing photo slideshow. In Step 3, after setting output profile, you could re-open the drop-down box and then select "Edit" option to enter the Profile Settings panel, where you could adjust video codec, bit rate, aspect ratio, frame rate, audio codec, channel, sample rate, etc. You could play back generated photo slideshow to get instant preview. Leawo Total Media Converter Ultimate comes with not only a photo slideshow maker, but also a photo slideshow to DVD burner. Besides creating photo slideshow from photos, it could also directly burn photos to DVD slideshow. 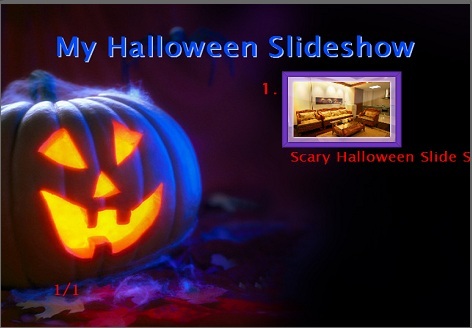 The below guide would show you how to burn Halloween party photo slideshow to DVD with this DVD slideshow burner. 1. 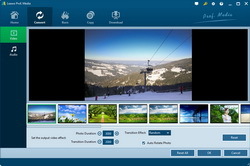 Launch Leawo Total Media Converter Ultimate, open the "Burn" tab, click the "Add Photo" button to add Halloween party photos. Photos would be automatically generated into slideshow upon adding. 3. (optional) Select a disc menu at the right sidebar and click the middle to preview it. Edit disc menu if you need by clicking the pencil icon on the disc menu preview panel. 4. Click the big green "Burn" button. Set "Burn to", "Disc Label" and "Save to" options. After these, click the bottom "Burn" button to start burning photo slideshow to DVD. 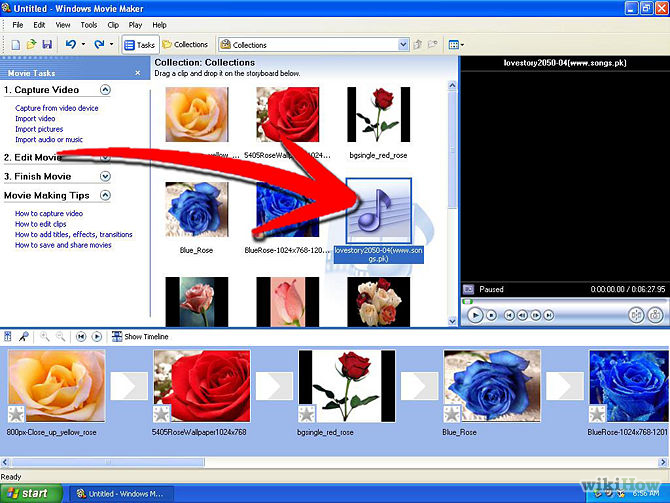 In Step 1, after loading source photos, at the bottom of the main interface, set the output disc type (according to the disc you plan to burn/insert to the recorder), bit rate and aspect ratio. To burn Halloween party photos to DVD disc, insert a blank writable DVD disc into the DVD recorder drive, and then select DVD recorder as target under the "Burn to" option in Step 3. The "Burn to" option in Step 3 allows multiple choices. You could click the wheel icon on the top-right corner of this program and then open the "Copy&Burn" option to set DVD video mode from NTSC and PAL according to the region you’re in.